The offshore LNG project at Livorno in Italy received its final environmental approval in May 2004 and construction began soon after. The project ‘Offshore LNG Toscana’ has the following shareholding: Endesa Europa SL (Endesa) with 30.5%, IRIDE Mercato with 30.5%, OLT Energy Toscana (OLT-E) with 23% and Golar Offshore Toscana with 16%. 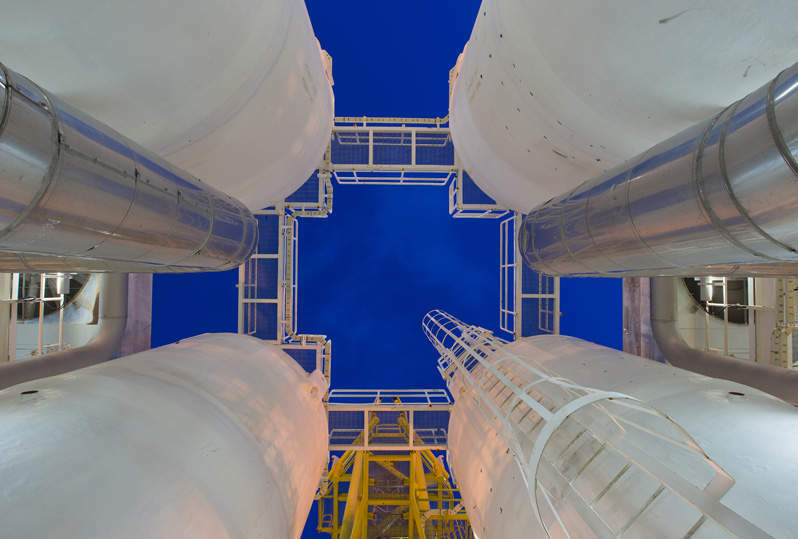 Endesa will control 50% of the gas and the project is expected to supply over 3.75bcm of natural gas a year to the Italian market by its start date in 2011. OLT Offshore LNG Toscana SpA is the development company set up for the Livorno floating LNG regasification project. CrossGas Offshore, which is a group of private Italian entrepreneurs backed by the Falck Group, appears to have garnered significant local support for the project. ASA Livorno, the local municipal gas and utility company, has joined the venture and CrossGas had hoped that the local shipyard would be able to undertake the conversion of the LNG vessel Golar Frost for the project but this specialist work was contracted to Drydocks World in Dubai. Works on the conversion began in June 2009. The towing of the OLT floating storage and regasification unit that is under conversion in Drydocks, Dubai will be undertaken by the end of 2010. The FSRU will be commercially operational by 2011. Italian pipeline company OLT Offshore and fellow Italians Falck plan to install the unit 12 miles (20km) offshore Livorno. OLT signed a deal with the City of Livorno to supply gas from the three billion cubic metres a year terminal, which can be expanded to six billion cubic metres a year if required (supplies were regulated to 3.75 billion cubic metres a year by the government). OLT and Falck have tried to attract participants to receive gas, including negotiations with several municipalities in Tuscany. Golar LNG owns 16% of the development company and sold the LNG carrier Golar Frost to the project for conversion to the platform. Golar has certain rights with respect to the regasification capacity and LNG transportation. Moss Maritime of Norway, which is wholly owned by Saipem / ENI (ENI is Italy’s national oil and gas company) designed the FSRU conversion. The four-turret ship, which has a storage capacity of 137,000m³ is under conversion at Dubai Drydocks. Saipem will install the ship-to-ship and ship-to-shore gas transfer facilities. The LNG terminal conversion ship is a steel mono hull with Moss LNG tanks arranged in the middle, with the regasification plant in the forward section and crew facilities with control room and utility machinery in the aft section. The LNG offloading tankers will be moored in a side-by-side configuration with the FSRU for efficient replenishment of the terminal. The FSRU will be stationed offshore and, through a subsea pipeline, will be capable of a throughput of 3bscm a year at variable gas send out pressures of up to 85bar. The tankers will be moored approximately 12 miles offshore Livorno at a water depth of 120m. The conversion will involve the fabrication and installation of a turret mooring system, aft thruster compartment, crane and loading arms foundations, bilge keel and foundations for equipments. Blast and coating of the units’ external deck, hull and outfitting will also be carried out. The Golar Frost conversion will cost $90m. The same principle is being adopted for the conversion of an LNG carrier to a float power generation plant for use off the coast of Cyprus.